Finding healthy, unprocessed food doesn't need to be hard. Get your FREE guide to buying unprocessed foods at any local grocery store, and simplify your search for real food. 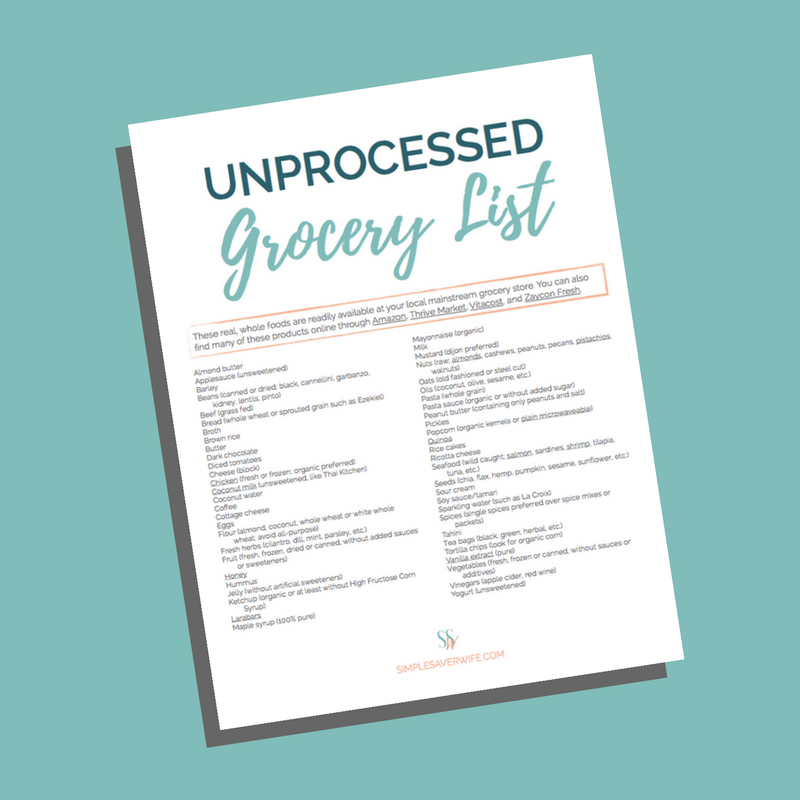 The Unprocessed Grocery List is a FREE guide to buying real, unprocessed foods at any mainstream grocery store! Get immediate access to the list by entering your information below. Check your email for instructions to download your FREE Unprocessed Grocery List. Note: Be sure to check your spam or junk folder (or "Promotions" tab for Gmail accounts) if you don't see the email soon. © 2019 Simple Saver Wife | All Rights Reserved.